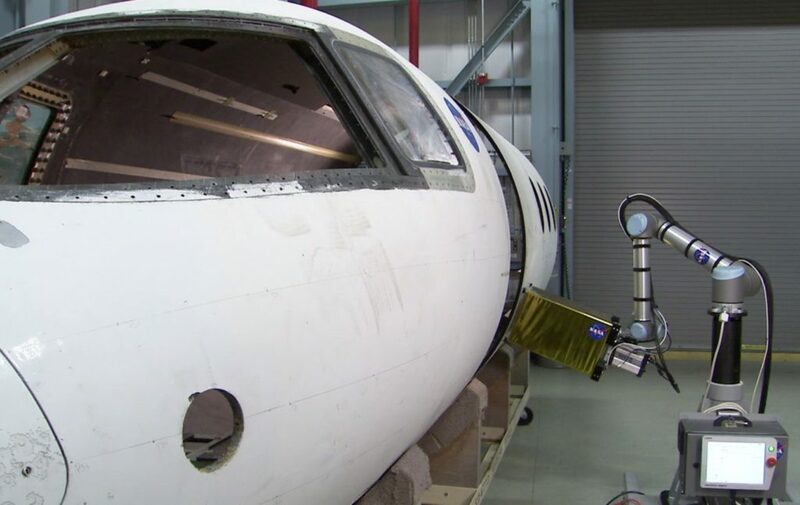 NASA’s goal is to quickly inspect every fuselage after manufacturing, preventing manufacturing defects to become critical. To accomplish this task, NASA built an automated inspection system for composite aircraft fuselages. 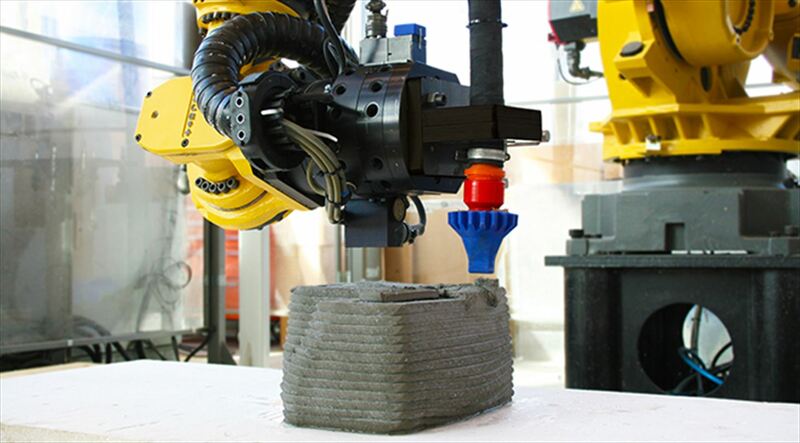 The automated system speeds up inspection time and reduces costs. 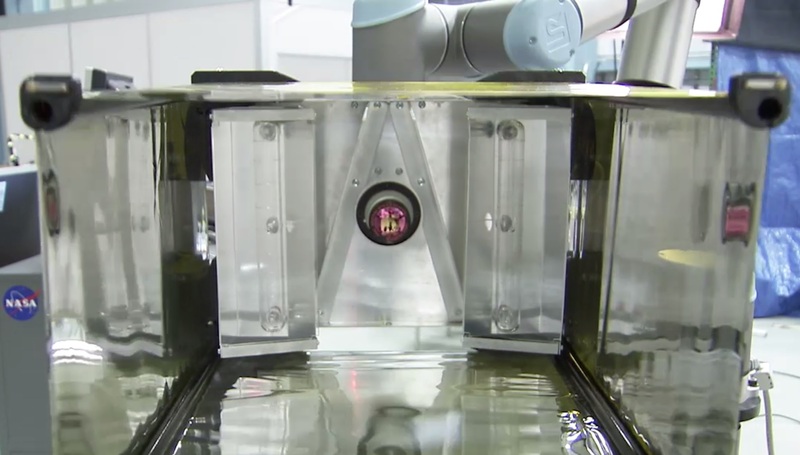 A UR10 collaborative robot can do the inspection with just one operator. 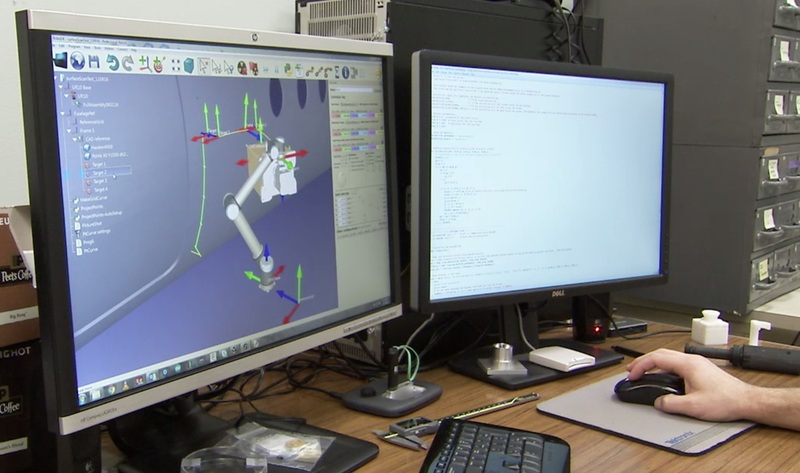 The robot moves an inspection head to previously programmed locations. 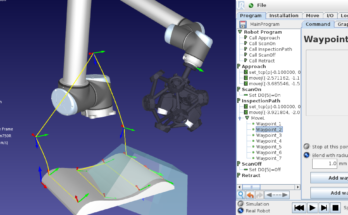 RoboDK software is used to simulate and program the inspection pattern, ensuring the robot doesn’t miss any areas. 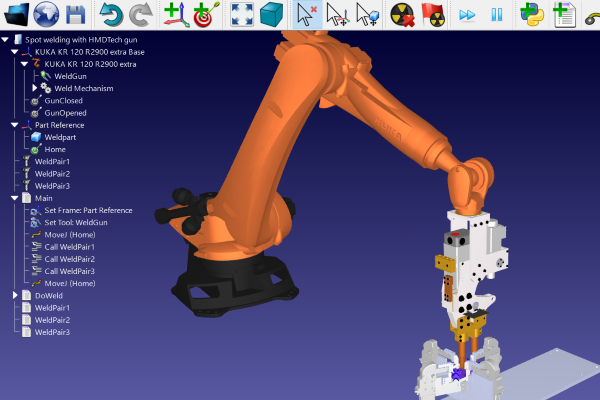 RoboDK allowed me to easily take advantage of our robot’s performance, and work with the geometrical constraints inherent with the UR10 and all attachments, by providing a user friendly programming interface and simulation environment. 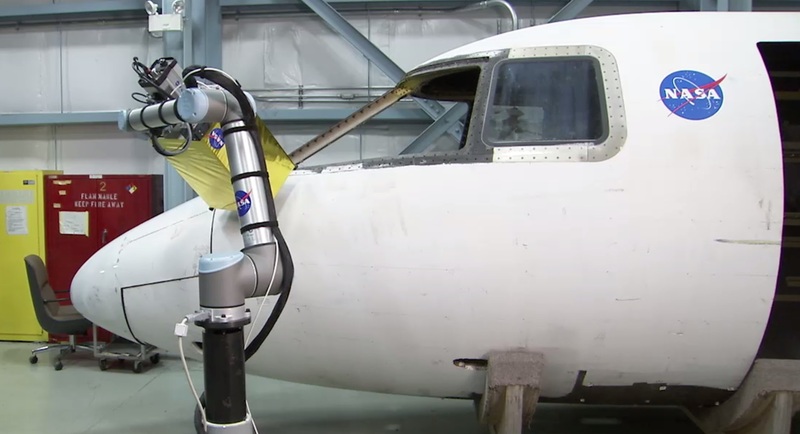 NASA’s goal is to implement this type of inspection with other technologies as well, such as ultrasound. The robot holds an infrared inspection camera which acquires temperature data as heat flows into the part. The sensor is a FLIR thermal camera. 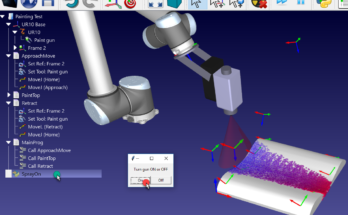 By analyzing the flow of heat through the composite structure the sensor can detect a faulty area without damaging it.